This is the holy grail. The be-all, end-all of pets. If I had a dog life would be a bit sweeter- an old yeller to my Travis, a lassie to my Timmy. They cost a bundle because I'd want to get one as a puppy, that's all that keeps me from picking one up today. I need to find some farm kid giving away pups out of his pick up truck for free, but I think that kind of thing only happens in the south. This pet will crack open a nut, eat the tasty meat, use the shell for a hat and try to amuse you. They like to live in front pockets and will climb up on your shoulder before taking off and flying around to whatever piques it's fancy. Tiny marsupials that are native to Australia, there's a chance they aren't legal to own in Massachusets without a permit, but that doesn't stop me from wanting one. Less exotic and less interesting cousin to the sugar glider, only you can find one easier and cheaper and in a regular pet store. The new litters come in during the fall, and you have to get 'em then or else you just have a crazy wild squirrel flying around your house, and that's no proper buddy. Probably inevitable, we're going to put the frogs in a big ol' tank and they would most likely get lonely, so some fish would provide ample company and a cool real-life screensaver for me. Not a real pet anyways, more like interactive furniture. Some of them look pretty funny. Still would want something a little more tangible. Digital version of my first choice, The Dog. Would require me buying a Nintendo DS, which is a pretty cool toy to have in of itself, and once I get one it won't cost me a penny more. Minuses include not actually being an animal. If I had my way, and a job that pays me decent money, I'll have my real dog warily eyeing my Nintendog and vice versa. This is the only rodent-type pet i'd like to have.. the rest either remind me of mice (previous encounters with mice did not end well) or are smelly and remind me of my 4th grade teacher Ms. Bradley (a special lady who I will probably discuss in a future entry). Plus they bathe in dust, very cool. 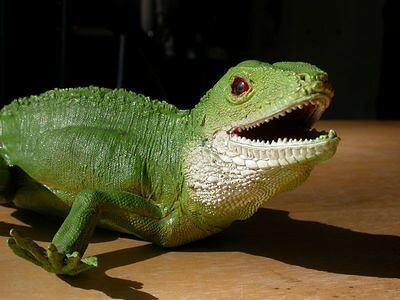 Lizards seem like decent enough pets, but not too high up on the list personality-wise. I'd end up naming it something rather geekish like Bahamut or Onyxia. Anyways this is probably not the buddy for me, but I'd at least consider it and I check 'em out at the pet stores just in case. So, that's what I'm working with. Got to research different breeds of dog now and see what would work best, if all goes well I'll be the proud owner of some critter within the next few months. And if anyone knows of another pet that rocks and rocks hard, please be sure to let me know. Super blog! Now for those in need check out our unexplained infertility website or tell a friend!